Earlier this week, Wine Spectator released reviews of its top-scoring Argentinean Malbecs. These are wines that have garnered consistent praise for both their easy drinkability and—more common now than ever before—their clear, dramatic expression of the best vineyard sites and top-quality fruit. 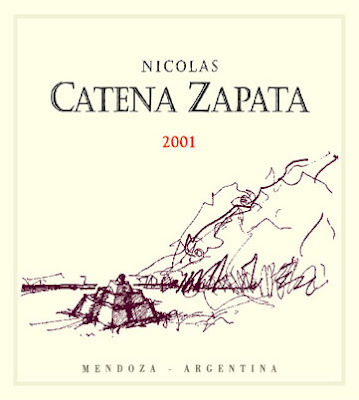 Leading the pack is perennial favorite Bodega Catena Zapata, this time with its 95-point Nicasia Vineyard 2006 bottling. And while this particular wine doesn’t come cheap, Bodega Catena Zapata does produce a whole line-up of wines that are both affordable and downright delicious. From the Chardonnay 2006 Catena Alta bottling (90 points from Wine Spectator) to the Malbec 2005 Catena Alta bottling (same score), this is a producer whose wines are consistently well-made and priced quite low for the high quality they deliver. There’s a lot happening in the world of Argentinean wine right now, and Bodega Catena Zapata is a great place to start exploring.